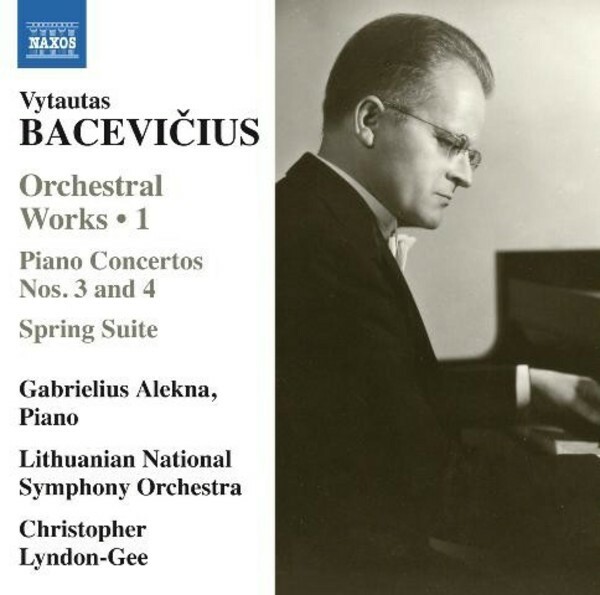 Vytautas Bacevičius remained virtually unknown as a composer during his lifetime, in contrast to the fortunes of his sister Grażyna Bacewicz, who retained her Polish nationality. Rendered stateless by the outbreak of World War II while he was on tour as a concert pianist in Argentina, he eventually settled in New York until his death in 1970, giving acclaimed piano recitals, teaching, and writing astoundingly original orchestral scores. He never lost his deep allegiance to and nostalgia for Lithuania. This recording gives an eloquent introduction to his pianistic virtuosity and to his mystical, Scriabinesque vision of the orchestra. World premiere recordings of Piano Concerto no.3 and the Spring Suite.